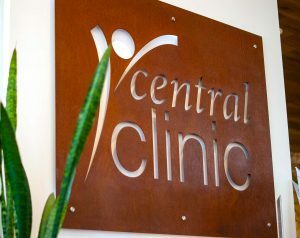 Central Clinic is a highly professional primary care medical facility. Our aim is to give our patients the highest possible quality of care, by ensuring excellence in all aspects of our practice. We believe that the patient is the most important person in the practice. We strive at all times to work in a highly ethical, responsible and inclusive manner. We strive to create a harmonious and productive environment built on mutually respectful teamwork. We endeavour to provide patients with the best and most current treatments, methods, materials and equipment within our resources capabilities. We believe that ethical and responsible behaviour is essential to maintain the trust and loyalty of our patients and staff. Our doctors, nurses, allied health professionals and administrative staff are committed to supporting our patients, by promoting health, well-being and disease prevention. Our practice is fully accredited with General Practice Australia which means its practices and procedures are fully monitored and assessed. This triennial independent assessment certifies that a practice meets the Royal Australian College of General Practitioner’s standards for the provision of a quality health services. 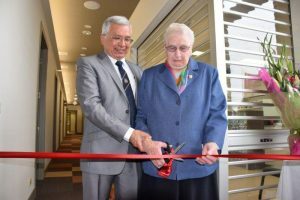 Central Clinic Warragul was granted accreditation in 1999, 2002, 2005, 2008, 2011, 2013 and 2016. Central Clinic Drouin was granted accreditation in 2004, 2008, 2011, 2013 and 2016. Dr John Finch owned the practice at 9 Barkly St, Warragul for some years before selling it to Drs Wayne and Julie Thompson in 1994. In 2000, the practice was bought by Drs Celada, McKelvie and Payne. In 2001, the practice moved to bigger premises in Victoria Street Warragul, and was renamed ‘Central Clinic’. In 2004 Central Clinic opened a branch in the ever expanding Drouin community. In July 2007, when Drs McKelvie and Payne left the partnership, Drs Ketheeswaran and Roman joined the partnership with Dr Celada. Since 2007 the practice has continued to grow quickly. Our desire to be able to provide extensive services to our patients across the Warragul and Drouin clinics motivated our decision to build a new clinic in Warragul. Our intention was to design and construct a building which would take us into the next decade and beyond, with state-of-the-art facilities, equipment and a professional health care team to provide optimal health care for all patients. The new building was opened in June 2014. Visit our beautiful Central Clinic facilities. We have worked hard to make Central Clinic a welcoming, modern medical facility to better treat and care for our Gippsland patients.